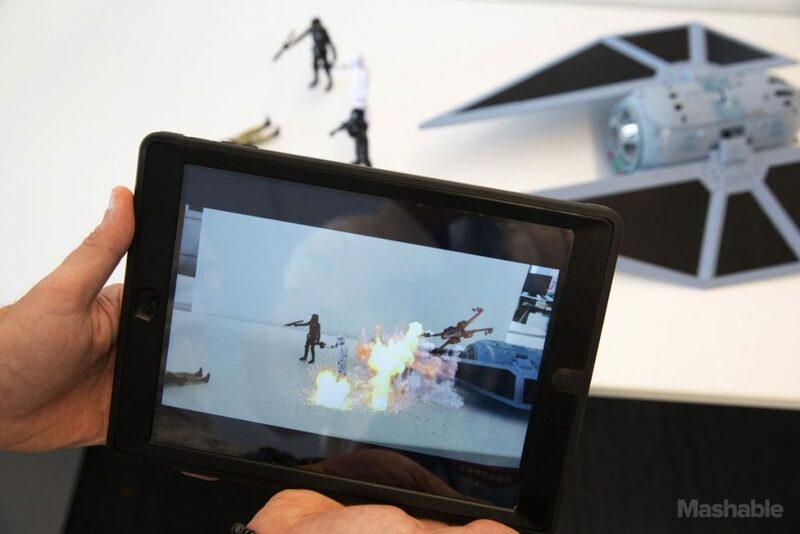 Mashable has posted the next pre-Toy Fair reveal showcasing Hasbro’s new FurReal Ultimate Co-Pilot Chewie coming Fall 2018 for $129.99. Head on over for the full features and details. 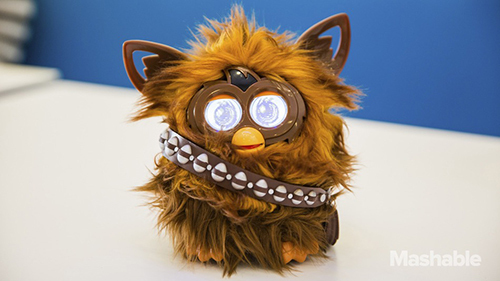 Mashable.com has posted an article revealed a mashup between one of Hasbro’s popular products, Furby, with Star Wars. The Result? Furbacca the Furby of course. Like other Furbies in the lineup, owners can virtually feed, bathe and play games with him through the accompanying iOS or Android app. For example, if you give tell the app to give Furbacca a shower, he’ll make cute little noises as though he’s getting clean. He’s responsive, too. There are sensors on his head, under his stomach, mouth and tail, so if you give him a little scratch between the ears, he’ll love you even more. If you pull his tail, he gets cranky — you can see the anger building in his LCD eyes. 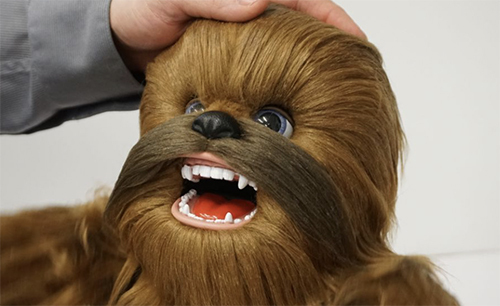 Depending on his mood, Furbacca’s eyes can populate with pictures of X-Wing Fighters and Imperial Star Destroyers.